Organized sports and athletics are a great way to get kids out of the house and into a more active lifestyle. Many of the skills children learn on the field – teamwork, coordination, strategy and mental and physical endurance – translate to important components of life outside of sports. However, not everything children may learn on the field is positive. Sometimes, competitive children can exhibit poor sportsmanship behavior like being overly aggressive and mean-spirited to teammates and opponents alike. As a dad, it's important to instill strong values of respect and humility in young athletes so they can excel and make friends in their chosen sport. Here is some parenting advice on teaching your children good sportsmanship. Having an appropriate attitude toward winning and losing in sports will make a world of difference in your children's lives. While winning is great, it's important to teach your children exactly why this is so. Make sure they realize that winning by itself isn't enough – it must come as a result of hard work, fair play and having fun. Let them know that the best athletes would rather lose than cheat or bend the rules. You may also want to teach them how to lose gracefully, without making excuses or disrespecting opponents. With so many stories of parents becoming hotheaded and getting into violent confrontations with coaches, it's more important than ever to display proper conduct from the sidelines. Shout words of encouragement for your child and the team as a whole without becoming too invested in the game. Also, avoid directing the team, as that's the coach's job. If you do become frustrated with unfair play, officiating or other parents' behavior, speak privately with the coach or game official to voice your concerns, rather than getting into a full-blown argument. 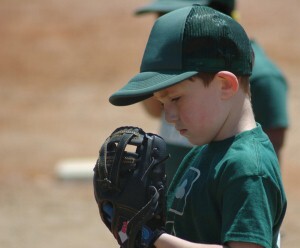 If you remain calm and respectful, your child is likely to emulate that behavior on the field.